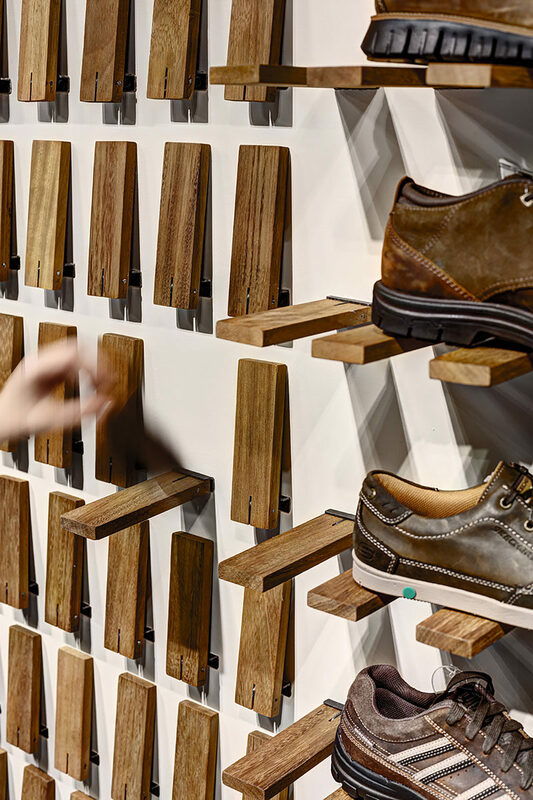 When Zemberek Design were creating the interior of this shoe store in Istanbul, Turkey, they came up with a creative idea for the shelving. Instead of having regular shelves, the designers created a system where each individual piece of wood can be flipped down to create a shelf. 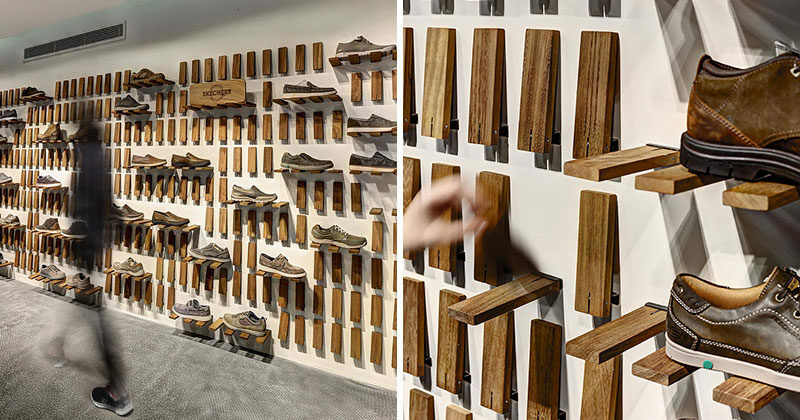 By creating these flip down shelves, the employees can easily and quickly change the look of the shoe display on the wall, depending on what they want to have on show. Other areas of the store also have these flip-down elements, like in the wall divider, that when flipped down, you can see through, and when they aren’t in use they simply flip up back into place.